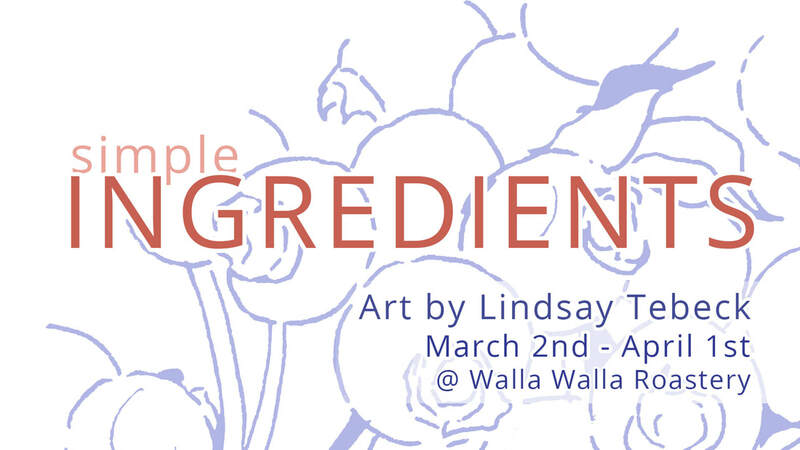 Drop by the Walla Walla Roastery during the month of March to see my new collection of work; Simple Ingredients! 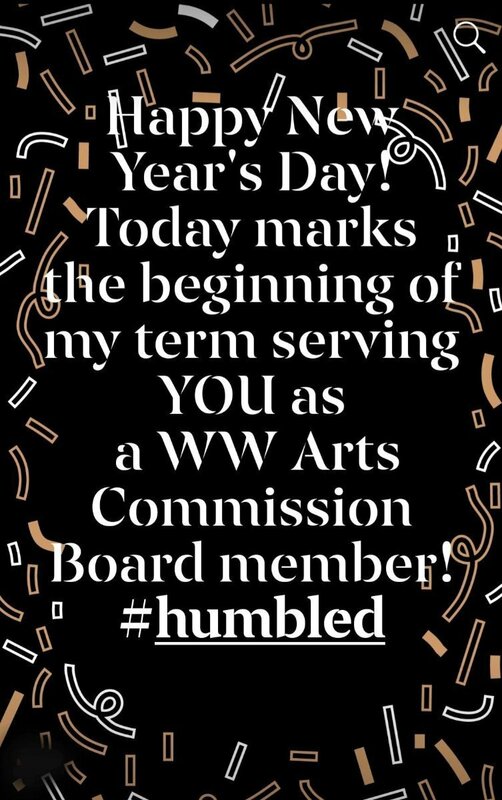 Starting New Years Day, I'm elated to share that I had been elected to serve among Walla Walla's Arts Commission board. Our initial meeting was held on January 10th (meeting minutes) and our next meeting will be held February 6th, 11am @ City Hall's Fulton Community Room; please come and share your ideas! These last few weeks I've been humbled to be working in conjunction with my partner & love, Jared Nettles, to create an illustrative logo/mural for an up and coming vegan (yes I said vegan!) shop; Shanty Town Biscuits! 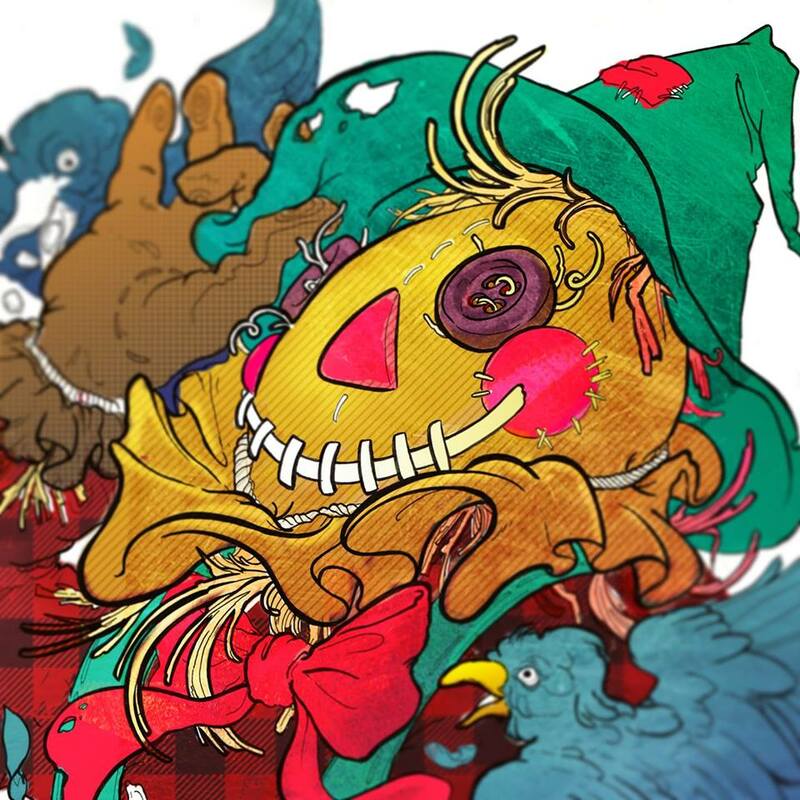 Mr.Scarecrow from The Fat Slow Pumpkin! This year's ArtSquared event was a blast! The event lead to the sale of the largest percentage of works documented by ArtWalla, (over 75%!) 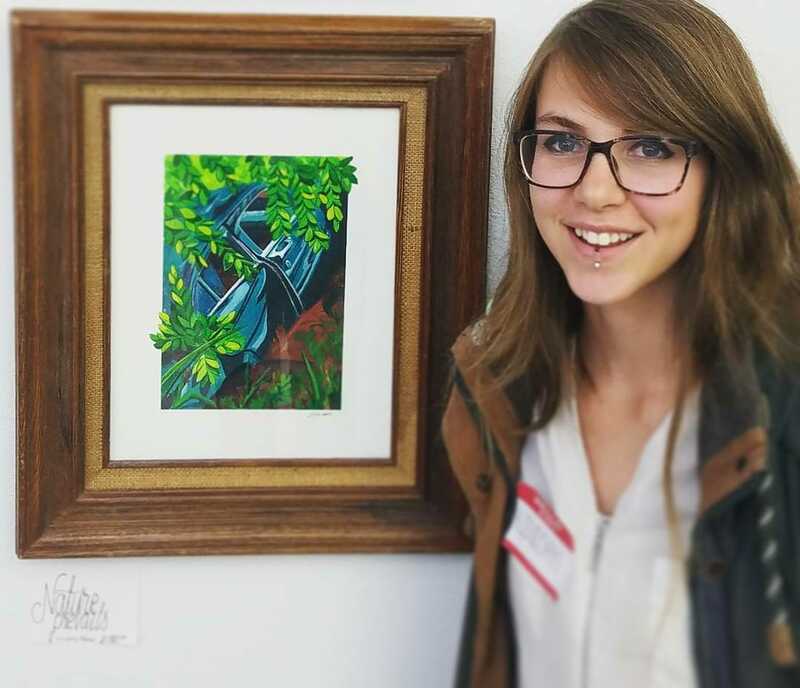 all which lend to the growth of art education in the Walla Walla Valley. I am so honored to have been included in this success and am delighted to announce that all of my 6"x6" works sold this year; Thank You! I've been lucky enough to continue creating promotional materials for one of my favorite public services; the Walla Walla Public Library! Just last month the WWPL launched a Big Idea Talks program lead by Richard Middleton-Kaplan, PhD, Dean of Arts & Sciences at the Walla Walla Community College. The ongoing program, Human Rights Through the Lens of Literature, explores plays, essays, poetry and film related to the theme of human rights. It's been a joy being able to create for such an impactful and reflective program. In this post, I point out some of the design steps that when into creating the promotion for this event. ​ArtSquared is on it's way, yet again! What is ArtSquared? Imagine walking into an art show and seeing nearly 1000, 6x6 inch works of art, each attractively priced at $36. On the weekend of September 28 - 30 at CAVU Cellars, ArtWalla’s sixth annual ArtSquared will bring artists and art lovers together for a fun and exciting visual art event in Walla Walla. The event will also include a gallery exhibition with large format work by participating ArtSquared artists. The gallery exhibition will remain on view at CAVU Cellars from September 28th through October 31st. Last year, I had the joy of taking part in a mini artist interview for the event. During this interview, I had said that "... I feel it would be a waste of artistry not to use my illustrative background in order to question and challenge issues from time to time. Being an artistic individual means I have access to a visual voice, which I aim to use to tackle issues that are critical to me; whether they be social, political, or personal." This couldn't ring more true for this year's entries as I aim to tackle issues related to the consumption of animals. 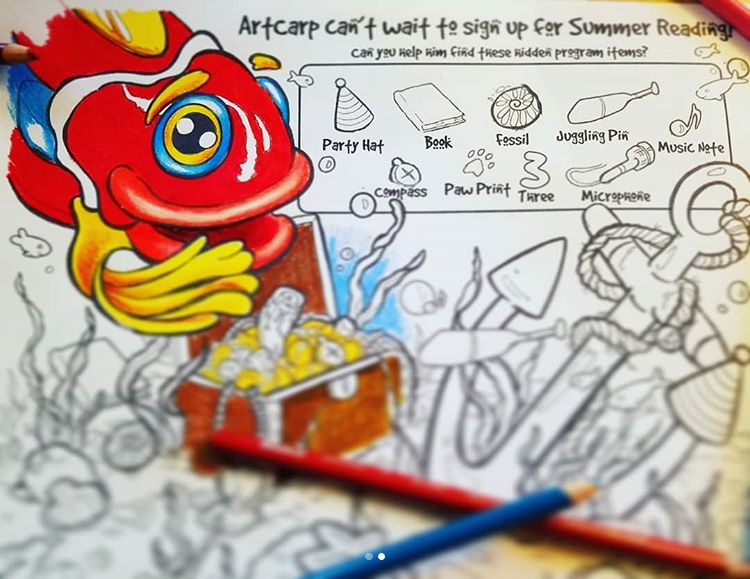 I've had a bit of a hiatus away from my usual Illustration work thanks to lill' ol ArtCarp here! 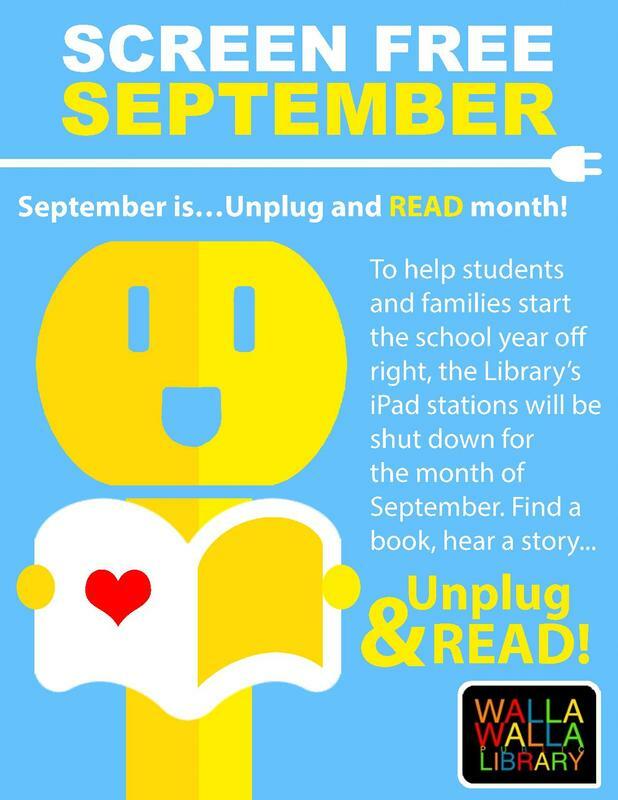 This year's summer reading program at the Walla Walla Public Library officially launched just last month, along with all the promotional material I helped flesh out. Take a look-see! Join ArtWalla for our first pop-up show of the year! Artists on display will include Lindsay Tebeck (drawing/digital work), Anne Haley (printmaking), and Sheila Coe (ceramic). Come enjoy some light refreshments and local art! And what better way to do that than by doodling while I dig? 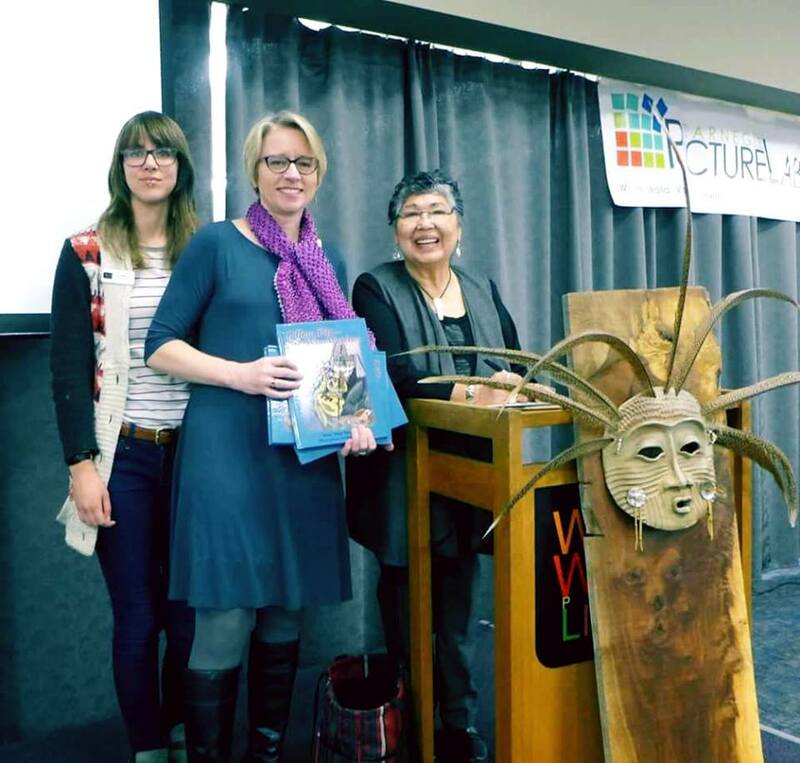 I had the amazing opportunity of meeting the renowned Pacific Northwest Native American artist, Lillian Pitt! This is one of my favorite morning fixes; peanut-butter oatmeal with a tall glass of oj! (Don't knock it until you've tried it!) I've been pouring over mountains of research about the properties of whole foods and their wonderful effects on the body. I recently switched over to a plant based diet and thought it could be fun to merge my growing food obsession with art. I had a lot of fun showing the kiddos how to color with digital media at the 3rd Annual Picture Show last weekend - big thanks to the Carnegie Picture Lab for letting me showcase my work! 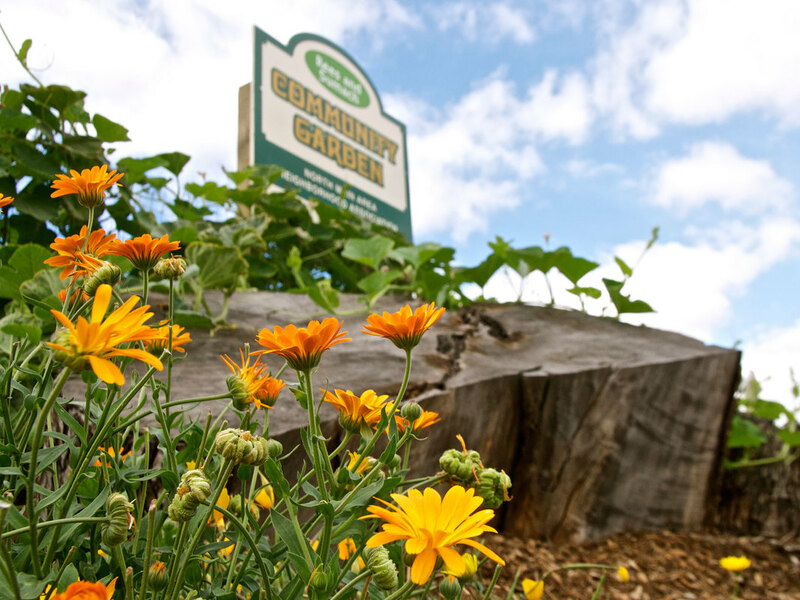 It's December, which means I'm dreaming of a golden summer! (Yes, I can't wait for summer already!) It would seem that the Walla Walla Public Library can't wait either as they aim to have a new Summer Reading Logo drafted-up for the coming year. 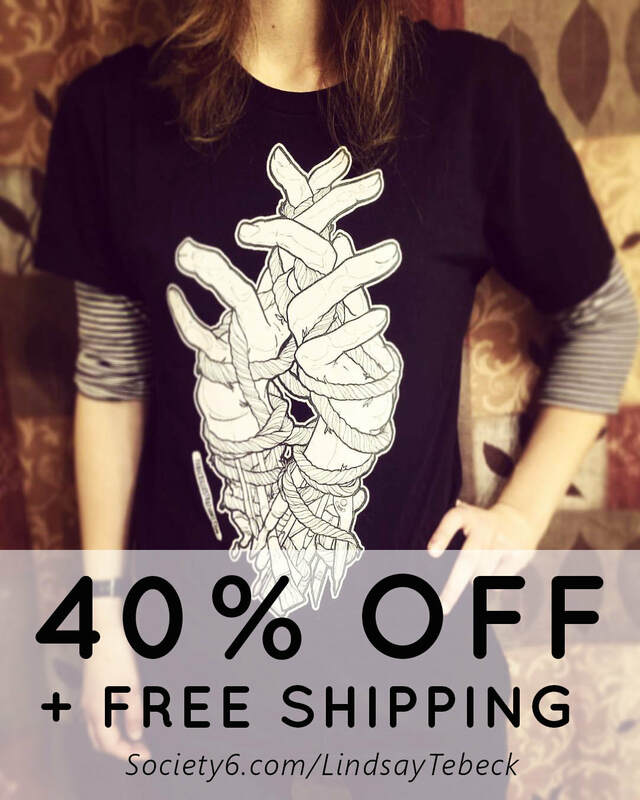 Cyber Monday Sale @ Society6 Shop! Ever since I've been looking into my Swedish roots, I've been toying with the idea of illustrating a full Rune deck. The deck would include the 24 runic symbols or the "Elder Furthark" which would be used for divination practices. It's Halloween! To celebrate I did a quick illustration of a family favorite; The Fat Slow Pumpkin. "Lillian Pitt - She Who Watches" Published! ArtSquared was a blast! 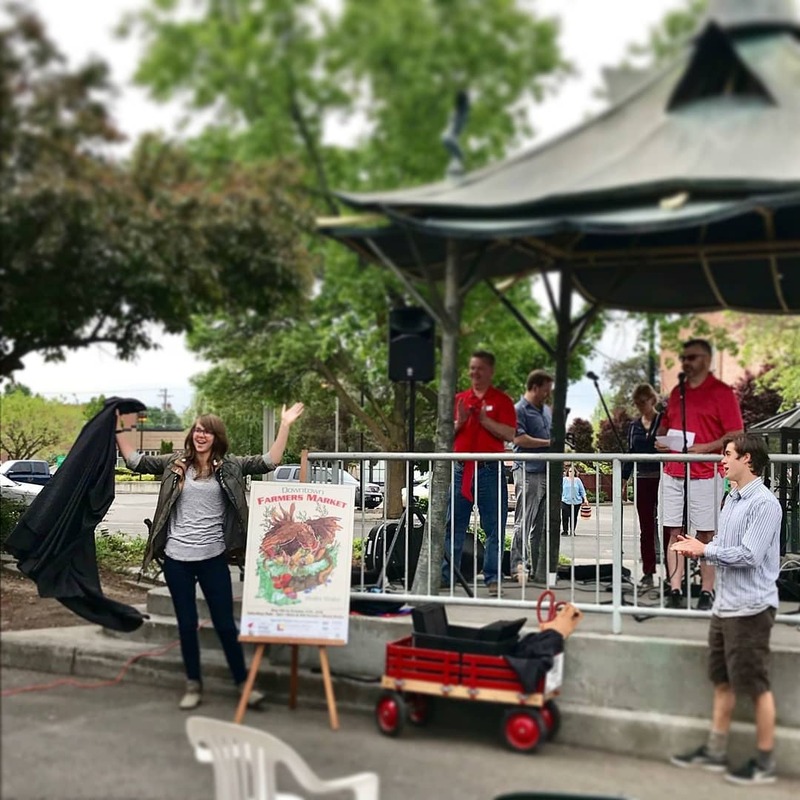 I participated in Walla Walla's 5th year of sponsoring the event. 100 artists entered, displaying over a total of 1,000 works! (Wowzer!) On top of the multitude of 6" x 6" pieces, there was a Juried portion of works. This portion allowed framed pieces to be viewed and judged with possibility of award. I also was part of an artist interview conducted for this event, which you can view here. Big thanks to everyone who came out! The 5th Annual Margaret Walter's Paint Out Exhibition was held September 15th at ArtEscape Studios . 1/4 of my pieces were sold and a portion of the proceed were donated to Carnegie Picture Lab to further the development of art education in the Walla Walla Valley. I had loads of fun continuing to experiment with a new medium ; gouache. 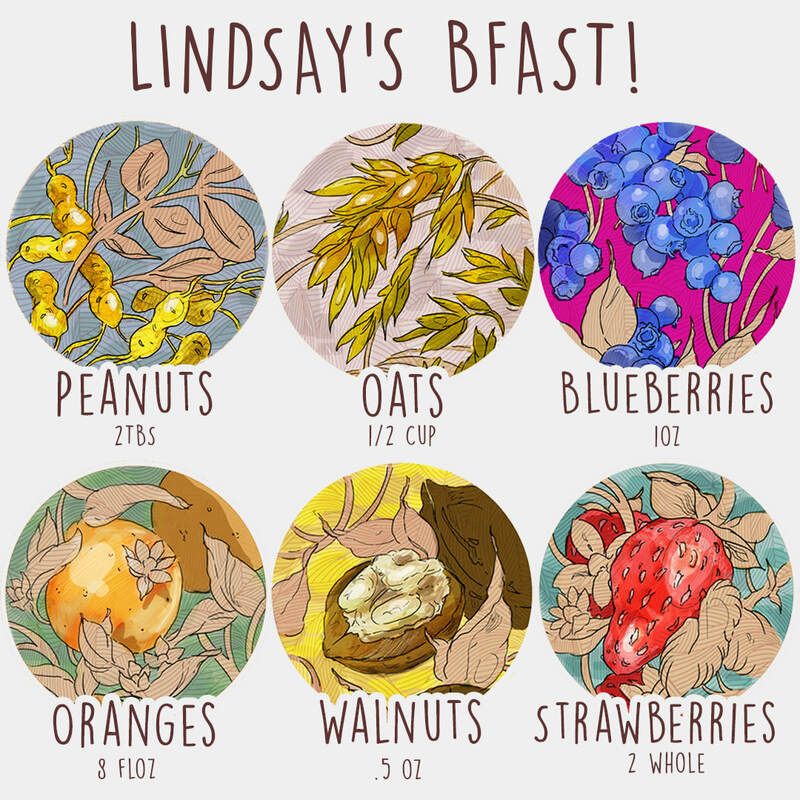 The experimentation lead to flat illustrative pieces more focused on rich color and composition. For the Paint Out series, I played with crossing boundaries by letting my paintings jut from their captive matte-like boarders. ArtSquared is just around the corner! If you haven't heard of it already, it's an annual show held in Walla Walla where nearly 1,000 works will be presented by local artists. Every piece is a mere 6"x6" square block priced at $36. The sold pieces will be benefiting arts education in the Walla Walla valley as a portion of the proceeds will be given to Carnegie Picture Lab. This will be my first year participating, and I'm excited to be involved!